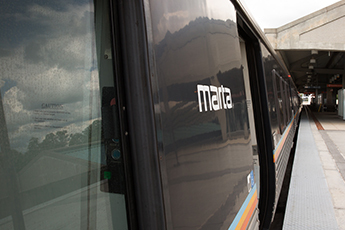 We're always looking for people who want to join the MARTA team. Whether you've worked with us before or it's your fist time applying, we want to help you get started toward the next step in your career. The guide below will walk you through the application details and the basics of our candidate review process. The entire application process takes place on our online careers site — resumes and attachments included. This may be a new experience for some of you, but taking things online means an easier, more reliable process for everyone involved. All you need to view our job openings is access to the Internet. From the home page of our careers site you can search and filter current openings, manage your account and monitor the status of any open applications. And although you don't need an account to access the site, you'll need to sign in or register if you want to start an application. To begin registration, go to the careers site and click on the Register link in the top right corner. Afterwards, select “No” to the question, “Are you an Ex-employee of Marta?” to advance your registration as an external applicant. Once there, you'll need to choose an email and password that will be used throughout the entire application. The email address you choose to use will become your iRecruitment username. If you've applied in the past using our old application process, your account credentials have been sent to the email associated with the previous site. You won't need to register a new account. For current employees, your credentials will be the same as those used for Oracle Applications. If you've worked with us before, you'll need to go to the careers site and click on the Register link in the top right corner. Afterwards, select “Yes” to the question, “Are you an Ex-employee of Marta?” to advance your registration as an ex-employee. Once there, you'll need to choose an email address and enter the required information to link your application back to your previous employment record. The email address you choose to use will become your iRecruitment username. After signing in, everything you need is in the top lefthand corner of the main page. Here you'll have the chance to search current listings and begin applying for new positions. Starting the application is even easier. All you need to do is click the "Apply Now" icon next to the position you're interested in, and then you can begin the application. The first portion of the application will involve making sure your account info is accurate. After that, you'll need to upload a copy of your resume and any other documents you want to include, such as a cover letter or references. We'll ask for work examples or writing samples once we've contacted you for an interview. Don't worry about following up with anyone after submitting your application. Human Resources or our hiring department will contact you if they think you're a good candidate for the position. If you do want to check the status of your application, you can view that information when you log in to your account. Under the “Jobs Applied For” section you can find all active job applications and the status of each. You also have the option to update your resume after submitting an application. Simply log in and use the "Upload Resume" feature. This will update the attached resume for every active application. After finishing your application, you'll receive an automated email letting you know we received it. From there, our human resources department will look over your application and determine your qualifications. We'll contact you directly if we're interested in interviewing you for the job. If you're selected for an interview, you'll meet with the recruiting officer, a hiring manager and/or any other team members — sometimes through a video conference. The recruiting officer will contact you with information regarding the time, date and location of your interview. Every job opening has to stay open for a minimum of five business days, and it usually takes five to seven weeks to close an application. Once the interview process is finished and a selection has been made, the recommended candidates will have to complete a satisfactory pre-employment background investigation which may include a drug and alcohol screening and a pre-employment physical. If those screenings yield satisfactory results, we'll contact you directly to inform you of the next steps in the hiring process. Candidates who were interviewed and not selected will be notified through their online profile once a decision has been made. Ready to fill out an application? Head on over to our careers site and get started.